This Horse Show double duvet cover and pillowcase set is perfect for horse mad little ones. 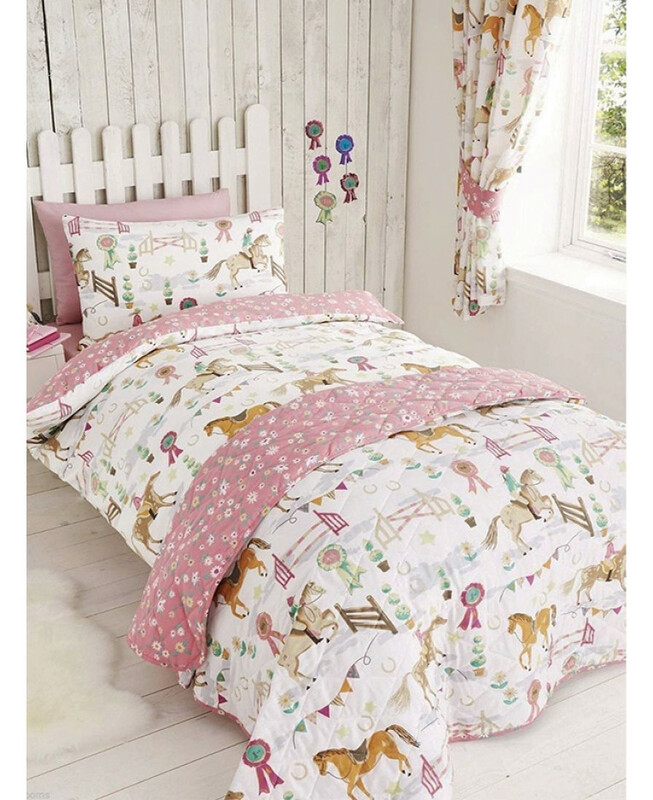 The duvet cover features a gymkhana inspired design of horses, show jumps, rosettes and bunting on a white background while the reverse has a pretty floral pattern on a pink background. 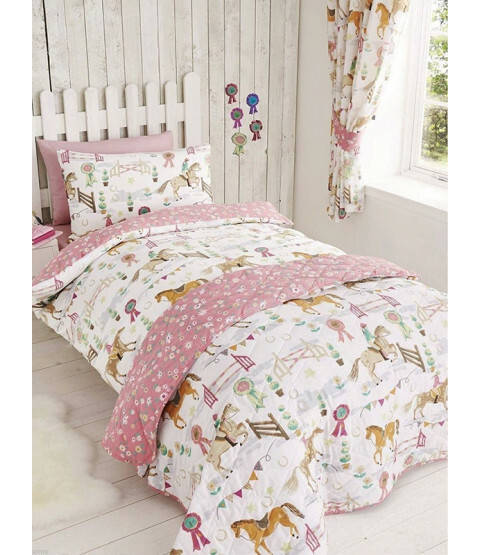 Ideal for any girl's bedroom, this bedding set is also suitable for machine washing and tumble drying.